Modern designers Alvhem Mäkleri & Interiör successfully redesigning the apartment with a little amount of space, and do it very successfully. 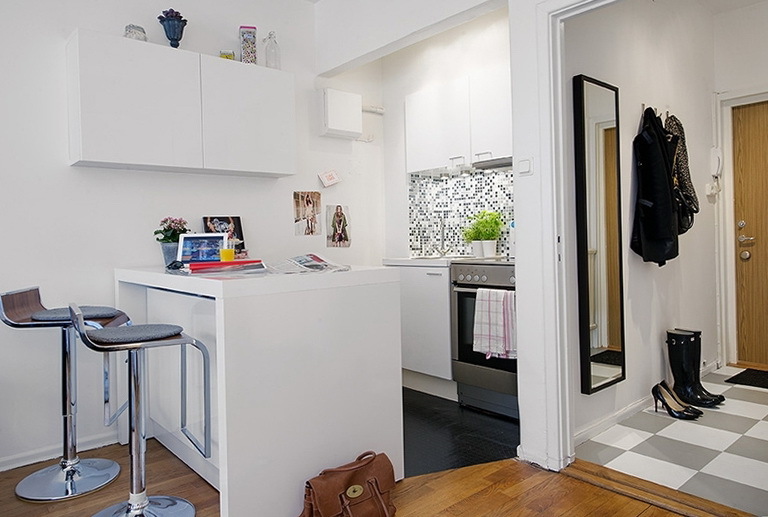 This apartment interior was designed in such a way that there is nothing superfluous. 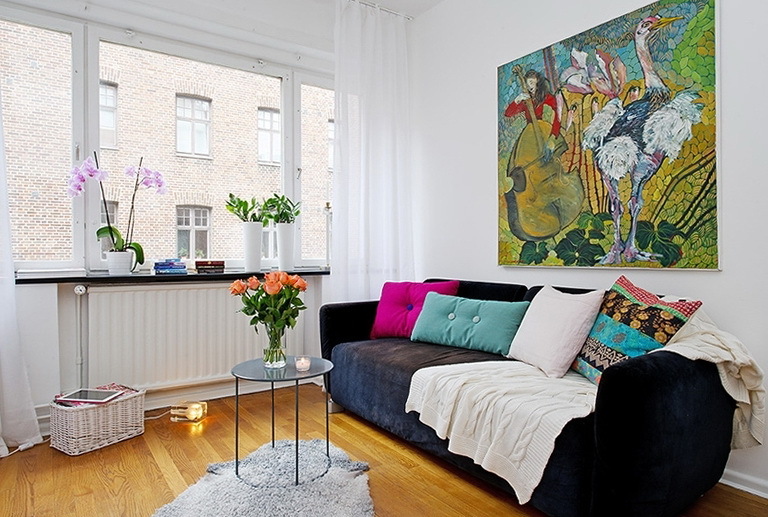 This apartment is very cozy and comfortable, it is well suited for life of one man or two. 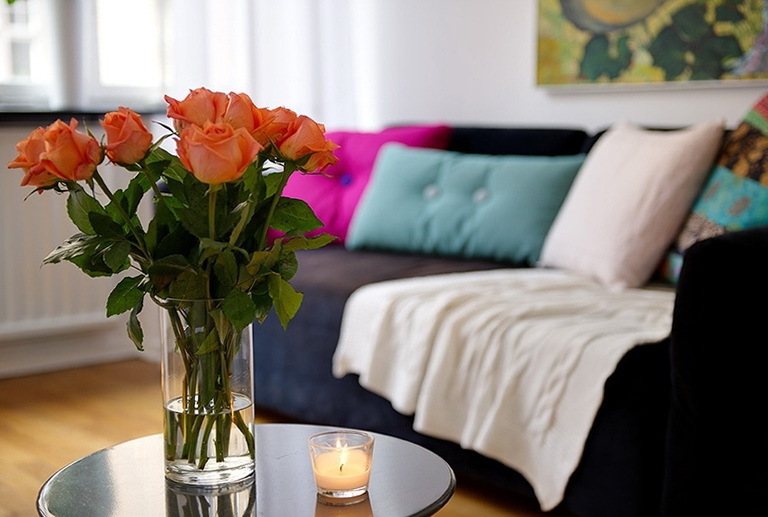 This apartment is only one room, in which several areas, recreation area, sleeping area with a convenient flashlight for reading, and a small coffee table for flowers. In the room the floor is laid laminitis light wood under a coffee table positioned skin, which serves as a carpet spread out on a large sofa pillows are beautiful and different, and on the window sill is a small number of vases. The coffee table is used to stand for small objects, such as a vase of beautiful roses that are very harmonious look to the interior. 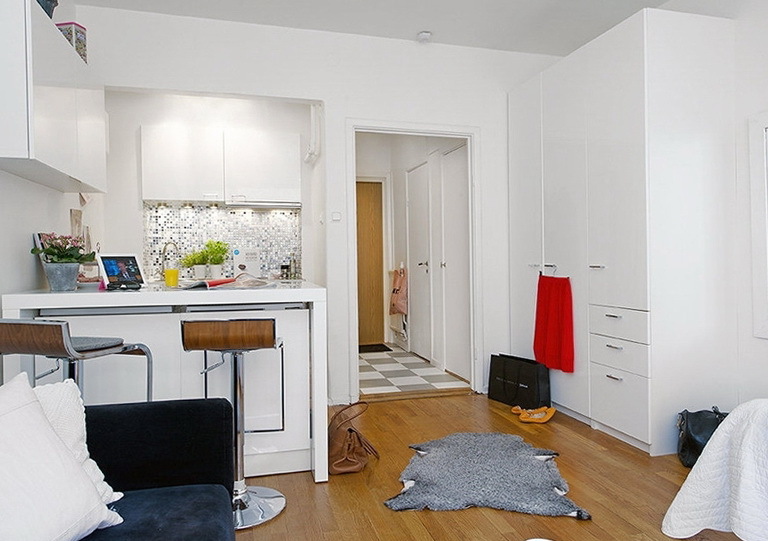 The other part of the room is designed for the kitchen, which holds two small refrigerators are hidden under the counter. Located near the bar stools, for which you can comfortably sit and have lunch, or read a magazine or book. 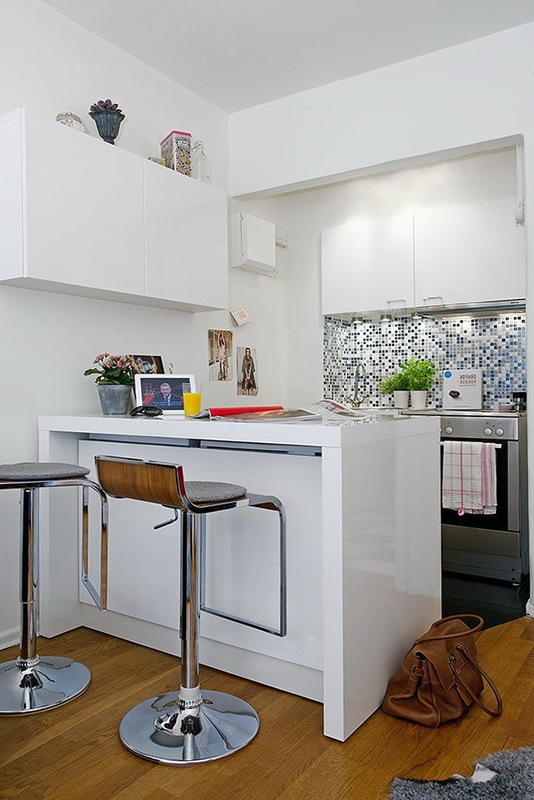 The kitchen has been done in white, to expand the space, fridge and freezer are conveniently located under the counter, which is also the work area. 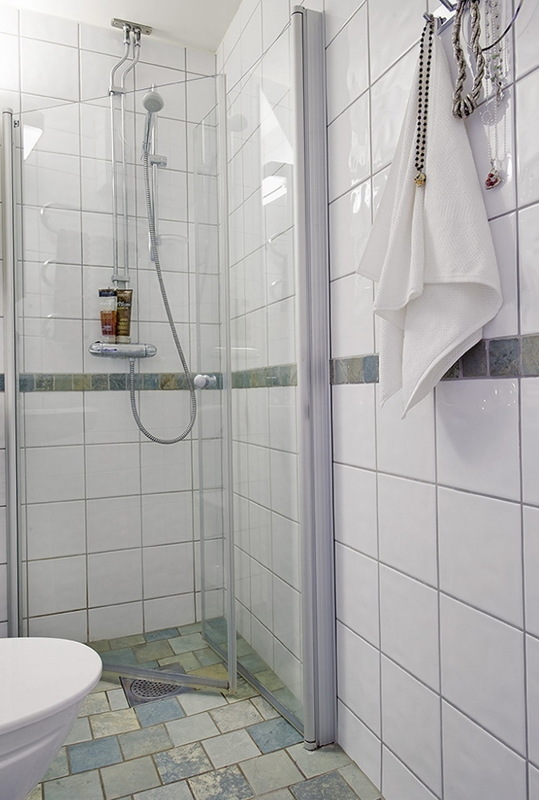 The shower room is roomy and comfortable, everything was done in minimalism that it is possible to turn around, and a simple white tile, skirting share a bathroom into two parts. 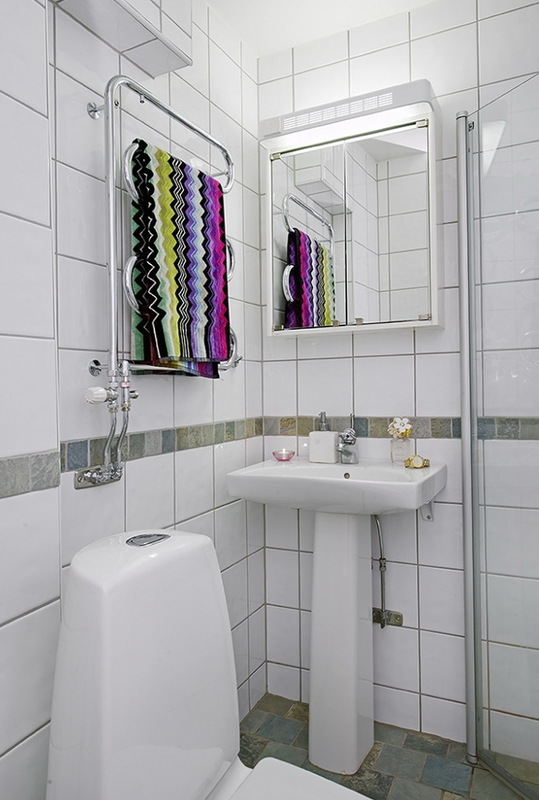 White bathroom can be diluted with bright objects, such as a pair of towels with beautiful patterns, raise the morning mood. 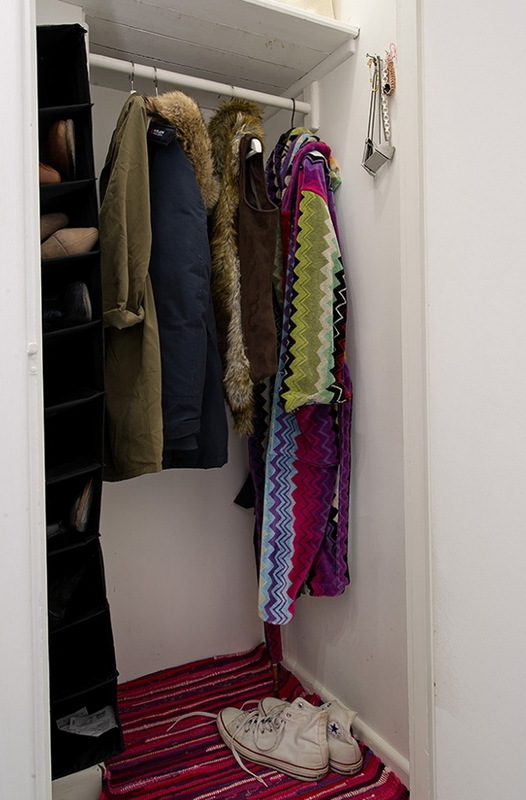 Wardrobe in the hallway, a couple of jackets and warm clothes closet is made of wood.